I kept the card very CAS in true ‘Cards 4 Men’ style and I share the process and the tips with you in the video linked below. This particular stamp set doesn’t have any sentiments but lots of ‘sweet’ words some to mind, especially with the sundae elements that I just can’t wait to try out. I was happy to see that the Sweet Dear Friend Stamp Set does have a couple of ice cream sentiments so I grabbed one of those and angled it down the VERY tall soft serve or as we call them in Australia ‘Frosty Boy’ ice cream. Other Supplies: Copics 0 / E11,25,33,40 / W0 / T2 / TR00,12. < Previous Video : Gimme 5 Penny Black – One Image 5 Ways! 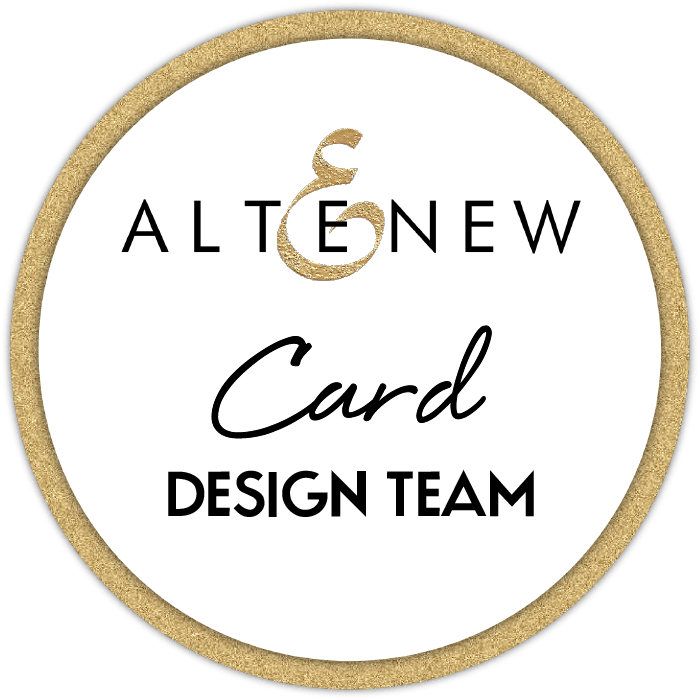 Next > Video : Altenew January 2019 Stamp/Die/Stencil Release Blog Hop & Giveaway! LOL….very cute! My grandkids would love this card, too! MY guy would adore this card, Therese… our go to ice cream stand would call this their ‘small!’ I call it fabulous! I’ve never heard of a Frosty Boy, for me in Sydney it would be a Mr Whippy! Great card, just love the stamp set. ooh Yes, definitely Mr Whippy too lol. Maybe it’s because the Frosty Boy has a factory in Brisbane? The colouring style and background blue really suits the fun image. I love how you put the sentiment down the side. Great card! I personally don’t eat a lot of ice cream (this would be way too much for me!) but my 21 year old son would think that this is awesome, especially if it was chocolate!! That is such a fun card!!! I love how you shaded the swirls in the ice cream, Therese. I long for the good old days when I could eat a big ice cream like this! Great card! That is one tall ice cream cone! I think I “need” this set! I love how you colored it, and what a perfect sentiment for it too! Great tips for masculine cards! Simple is best for my group of men, mainly because they don’t know that they need to keep them and frame them – lol! Awesome idea !.Great advice, thank you.